As the second part to my post (or rant) about automation in libraries, I want to write about why I think Mountain View Public Library’s system might change my mind. MVPL uses the Libramation system for their RFID and MK for the sorting system & return software and circulate roughly 1.5 millions items out of just this one library. If you are unsure about why I dislike automated systems so much you can read my previous post. Some of this might not make sense unless you read that. Also, I want to talk about the library itself and some of the features I saw that I really loved, but I think that will have to wait for yet another post. So I’ll stick with the automation and how it addressed my concerns for this entry. I’m not sure what it cost them (I was afraid to ask) but I was doing a little math in my head as we went through it. The costs seemed to be- the sorting machine itself, book drop interfaces, RFIDs, self-check, RFID printers, construction/installation, staff training, and ongoing power, supplies, and support/maintenance costs. These are the costs that I would expect and nothing out of the ordinary and the savings typically come from the reduction in staff which was my second concern. Our tour guide was the Circulation supervisor and she explained that this system did bring in a large reduction in staff time. I was unable to see the savings in action this day because we were on the tour the day after a holiday and more staff were called in for all the extra returns, but typically I was told that there was only one person in the back room managing the system with occasional pages to do the detail sorting and shelving. 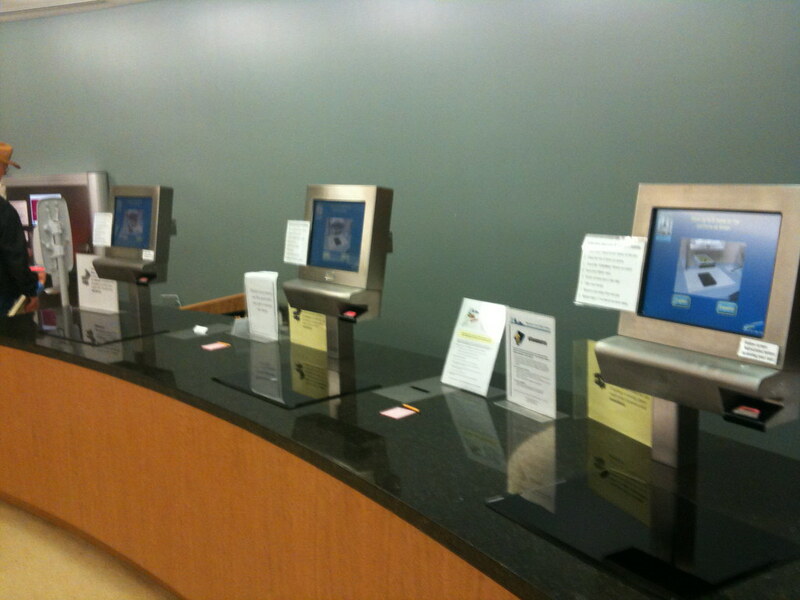 Also, I noticed that because they also had Self-check stations the front desk was only staffed by one person. So, from what I could tell, for a circulation of 1.5 million and only needing one paraprofessional in back, one on desk, and a handful of pages shows a fairly significant savings over the long run. This reduction in staff was mostly because the system actually works! Which is was my third concern. etc… and holds or problems when into the last bin. 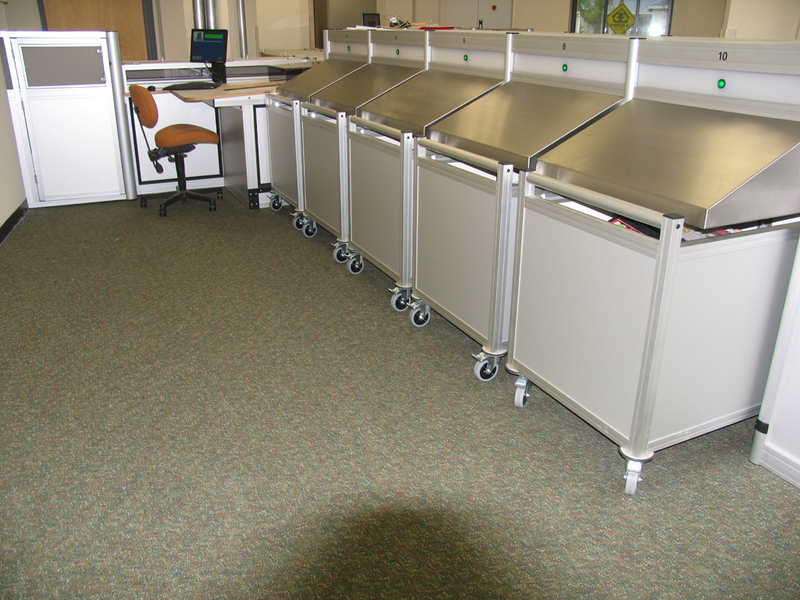 The carts were then hand sorted by pages to carts and shelved. The only real glitches had to do with items being returned that didn’t belong to MVPL (which is a glitch at almost any library) and items that couldn’t be RFIDed properly because of its shape or case. This second problem was being corrected in a number of ways and won’t be a problem any more in a couple of years. The first glitch has to do with patrons using the system which was my largest concern. I took a little time and watched the patrons interacting with the machines. It seemed to go smoothly but I could tell that there was a large learning curve for them by the number of signs on the book drop. I suppose this is to be expected since the new system requires a new set of rules that they had to learn. For example, the patrons had to place items one at a time on the conveyor belt for the system to work properly and a light in front made it seem that it was scanning a barcode and not a RFID. Also, a piece of drop down glass covered the machine to keep people from placing things that didn’t belong into the drop. However, when I first arrived and looked at the machine, my first thought was that it was closed and that I couldn’t use it. After a couple of minutes of investigation a patron approached and opened the glass by scanning a book on the outside RFID reader and returned her books very easily. Even with these little issues, everyone I saw that day (especially the kids) who used the self-check and the return interfaces seemed pretty happy with it all. And happy patrons + happy staff = a win in my book! So have I had my faith redeemed in RFID and Automated Materials Handling? Maybe… However, I still think that these systems require a lot more work than the vendors tell you they do, not all of them work as well as MVPL’s, and I would be concerned that libraries who use these systems with significantly smaller circulation numbers won’t see the savings that the systems could bring. So I still recommend a fairly high level of caution when thinking about adding one of these machines to a library. Its shiny, its new, it doesn’t always work, but for MVPL, and our library system’s installation of the same system, I’d say we are very potentially making a great decision and definitely making a good well-researched decision. Way to go team! Previous PostWhy I HATE RFID and Automation and How Mountain View Library Might Change my Mind #libraryNext PostMy long list of MUST DOs in the next two years…. One correction- The sorting system & return software is MK. The RFID & self checks are Libramation. Also, another benefit to an automated system is the reduction of RSI in the staff. Our circulation increases nearly 20% last year, so this system enabled us to keep up. Each installation is unique, and each one will have unique challenges, so it’s important to have diligent staff who will bird dog the issues. Hey, there…Any further thoughts now that you’ve had the system for a year? 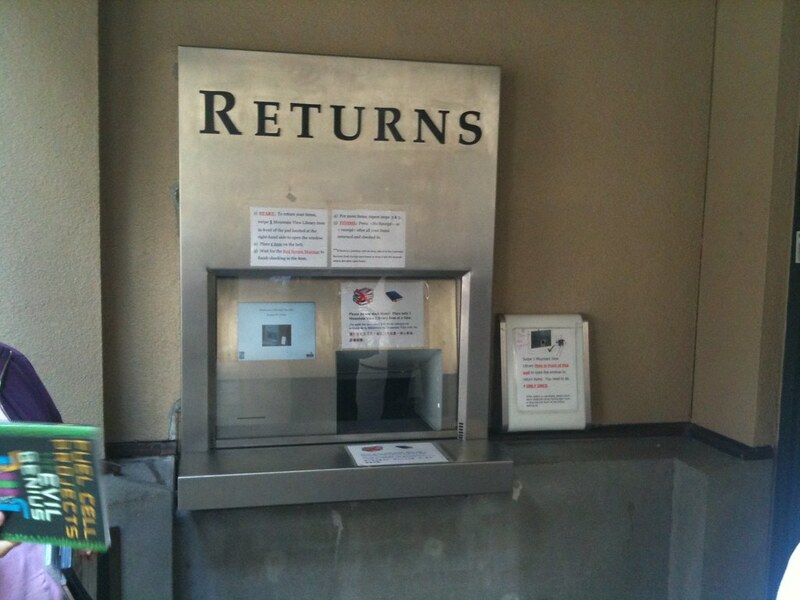 We’re following other library experiences with RFID via blogs and user comments.